The iPhone 5 hasn't released yet, but when it does, it will ignite what Apple's Tim Cook called the "fastest phone rollout ever." Due to arrive in nine different countries on Sept. 21, including the U.S., U.K., Canada, Japan, and Hong Kong, Apple will continue their massive push just one week later. Twenty more countries are scheduled to receive the phone on Sept. 28, with consumers in locales like Austria, Denmark, Italy, New Zealand, Norway, Spain, and Sweden, able to obtain their own iPhone 5s. Over the course of the remainder of 2012, Apple plans to have the iPhone 5 made available in 100 countries, and on 240 different carriers. 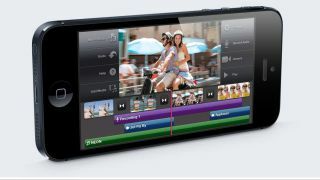 Even when compared to the launch of the iPhone 4S, Apple's plan for the iPhone 5 is a lofty one. One month after launch, the iPhone 4S was available in 29 markets, which would put it close to the iPhone 5 plan. However, by the end of the year, the iPhone 4S was only available in 70 different countries. By planning to release the iPhone 5 in 43 percent more countries by the end of 2012, it's clear Apple has every intention of meeting consumer demand for their latest smartphone. For further comparison, the iPhone 4 was only made available in 18 countries by the end of its first month on sale. Reaching 100 countries by the end of the year should help Apple hit the early estimates analysts predicted for both this year (49 million units), and the iPhone 5's lifetime (250 million units).